It has not been a good year for Arkansas football and Bret Bielema. The Razorbacks came into the season ranked #18, but have since wilted. Bielema made fun of Ohio State for having an easy schedule, then his team went and lost to Toledo, the type of opponent he had just dismissed. 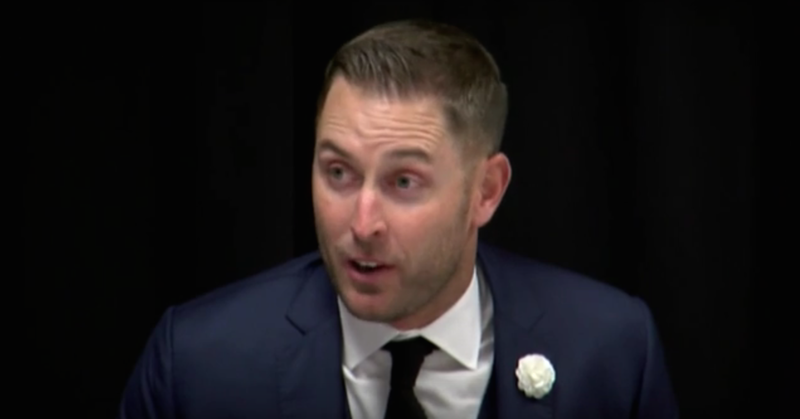 Yesterday, Arkansas lost again, this time to super cool guy Kliff Kingsbury and his Texas Tech team. Kingsbury then laid down a solid burn on poor Bielema.